Here at The Pet Beastro we talk a lot about the best nutrition for your pet. The truth is that when you feed your pet an all-natural diet, you will notice a difference in their overall health and well-being. Natural pet foods provide our companions with the nutrients they need to live fuller and happier lives. Below are some of the health improvements you can expect to see when you start feeding a biologically appropriate diet. Natural pet foods are made to accommodate our animals’ evolutionary diets. Since these foods are easier to digest, your pet will have smaller, more compact, less smelly, and less frequent stools. 2. Improved allergies and skin and coat conditions. Many of our animals have grain and gluten allergies, ingredients that are commonly found in commercially made foods. When you feed your companion an all-natural diet that doesn't include grain or gluten, your pet will no longer suffer from food allergy symptoms like dry and itchy skin, licking and chewing of paws, skin infections and rashes, and unusual hair loss. Commercial pet foods are made with artificial vitamins, minerals and other unnatural ingredients/fillers that are difficult for pets to digest. Conversely, natural pet foods are made to accommodate a pet’s natural diet and digestive system, which makes them much easier to digest. So in order to get all of their daily nutrients, pets have to eat a larger serving of highly processed commercial foods than natural foods. When you stop feeding your pet carbohydrates, you’ll notice improvements in their mood. Unlike humans, carbs aren’t a source of energy for pets. Grains break down into sugars in the body, which cause hyperactivity, cancer, obesity, diabetes, and some skin problems. Dogs and cats derive their energy from fats and protein, like those found in natural foods. 5. Healthier teeth and less body odor. Raw meaty bones, grinds, and similar all-natural chews offer pets vitamins and minerals that will improve their dental health. Since natural pet foods will help your pet have healthier teeth, they will also help get rid of your animal’s smelly breath. An improved diet also helps eliminate body odors. Natural pet foods aren't made with the fillers, artificial additives, and unnatural preservatives that are common in many other pet foods. So, you can rest assured that your pet food only contains the ingredients that will improve your pet’s health. We offer a range of natural pet foods in our Madison Heights, MI storefront and online market. If you’re not sure where to start with switching your companion to a natural diet, we can help you find the perfect fit with our Nutrition Consults, available at our brick and mortar store and also via phone or Skype. 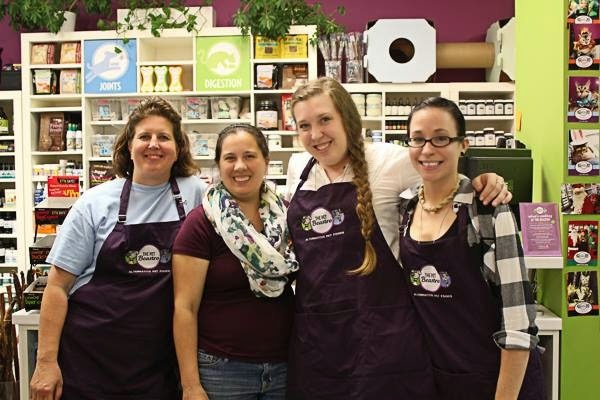 The Pet Beastro was founded by Jill Tack in 2003 to help people learn why alternative pet food options are better for pets. The Pet Beastro prides itself in offering the largest selection of raw pet food in Metro Detroit. They also sell dehydrated, organic and natural food, treats and supplements for dogs and cats in their store and online market. 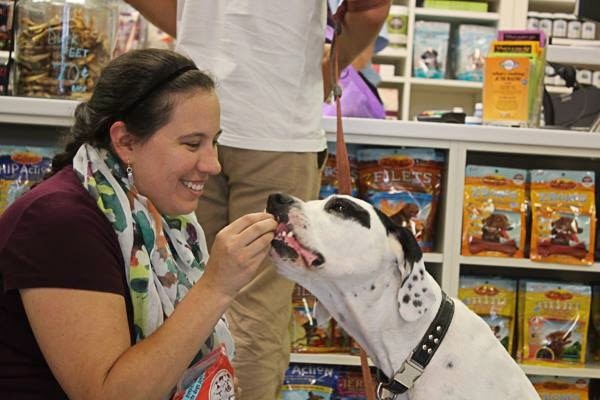 In addition to its alternative pet products, The Pet Beastro offers one-on-one counseling and group seminars to help provide pet owners with the knowledge they need to improve their pets’ well-being. Tack is a certified Natural Health Practitioner from the Naturopathic Institute of Therapies and Education and is working toward becoming a Naturopathic Doctor in 2015. She has earned an Herbal Certification from GAIA Center for Herbal Studies and she has studied Classical Homeopathy under Dr. Glen Dupree. With 10 years of experience in pet nutrition and raw feeding, Jill is asked to speak at many wellness and pet related events and functions. 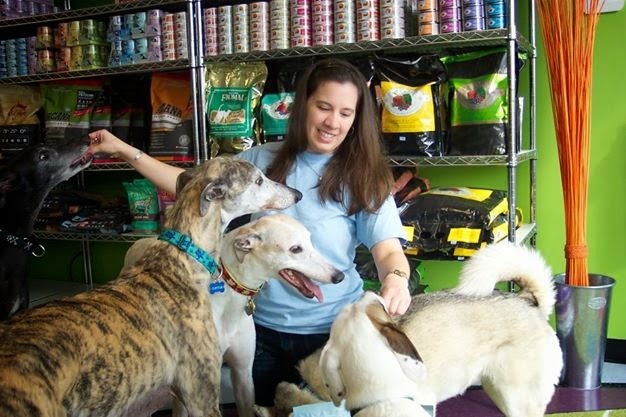 She has worked with Greyhound Rescue & Adoptions in Southeastern Michigan since 2003. She also started working with a Bengal Cattery in 2012. For more information, please visit www.ThePetBeastro.com. This post is written and sponsored by the The Pet Beastro. Pawsitively Pets only shares information we feel is relevant and of value to our readers. Love learning about natural foods :) Anything natural is better for our fur babies IMO! Our pets deserve the same nutritional goodness that we do! Always looking for natural - so thanks for providing this post today! We've never really made that leap yet, but we are pondering about it. I like that there are so many more options these days for natural pet food. Homemade raw might be the ideal, but it's just not easy for everyone to do. So it's great there are other ways to go and still feed a healthy appropriate diet. I agree Jan. And even if homemade raw were the best option, so many people might not do it right which could be a bad thing. That's always what I worry about the most. Our dog Ava is kind of sensitive so feed her natural foods. What a difference it has made in her. Great info. They are very nice! I bet they would if your mom visited and talked to them. That would be pawsome. Cool place. Have a fabulous Friday.